We are one of leading manufacturer and supplier Antique Display Bicycle Toy This is an antique small bicycle which made of high quality of iron with wooden seat and wooden handlebar grips. The wood has a patina but underneath looks like it was painted black. - Best quality of iron construction. - Lots of moving parts. 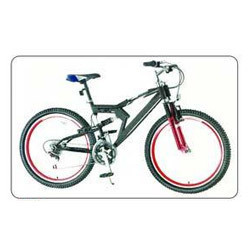 Attractive new design frame with integrated strong carrier sturdy mtb design fork calliper brake with friction free cables pvc cushion with spring saddle mtb handle with extended bar ends.